Traveling is fun! isn’t it? 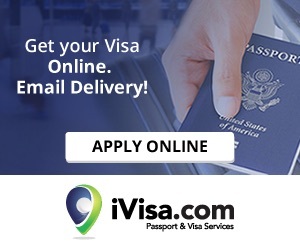 However, traveling – whether you are a serial traveler or someone who loves to spend weekends with their family in a new place – becomes even more memorable if the trip is planned well. Honestly, a great experience is all about making the right choices and choosing the right sidekick. On that note, whether you’re just taking a small road trip to a nearby city or planning a world tour, technology is a handy sidekick that makes traveling easier for you. Hence, here we are! With our list of 5 gadgets, you must possess to make traveling easier for yourself. 1. Smartphone with 4G internet access: First and the foremost, a smartphone with 4G internet access. Obvious. Isn’t it? You can’t possibly imagine a life without a good smartphone. Similarly, you can’t imagine traveling without a good smartphone, especially if you are traveling alone. Smartphones make our life so easy! They help you navigate and reach your destination on time. They keep you updated with the latest happenings on the go. You need them to book trains, hotels, and even buses. You will need the flashlight, especially if you are on a trekking trip. You’ll need a smartphone with a good camera to take pictures. Last but not the least, you’ll need a smartphone for listening to music and watch videos while you are still in train/ bus. 2. 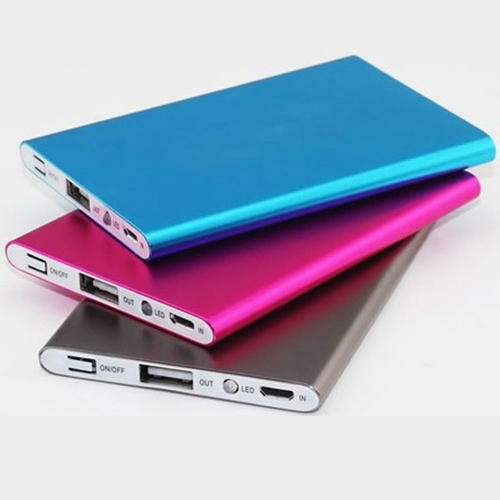 Power bank: If you carry a smartphone, which, you obviously will; you’ll need a power bank as well. Your smartphone’s battery is going to discharge sooner or later, and then you’ll need a power bank. You won’t be lucky enough to find a charging socket everywhere you go. Hence, carry a heavy-duty power bank wherever you go. If you can manage, go for a solar charger. Solar chargers are a better alternative because you can charge them even without electricity. 3. LifeStraw Personal Water Filter: This might look inessential, but a Personal Water Filter which is manufactured by LifeStraw is something every traveler must have in their backpack. This gadget is absolutely essential if you are going somewhere, or heading into a wilderness, where there’s not a lot of water infrastructure. 4. 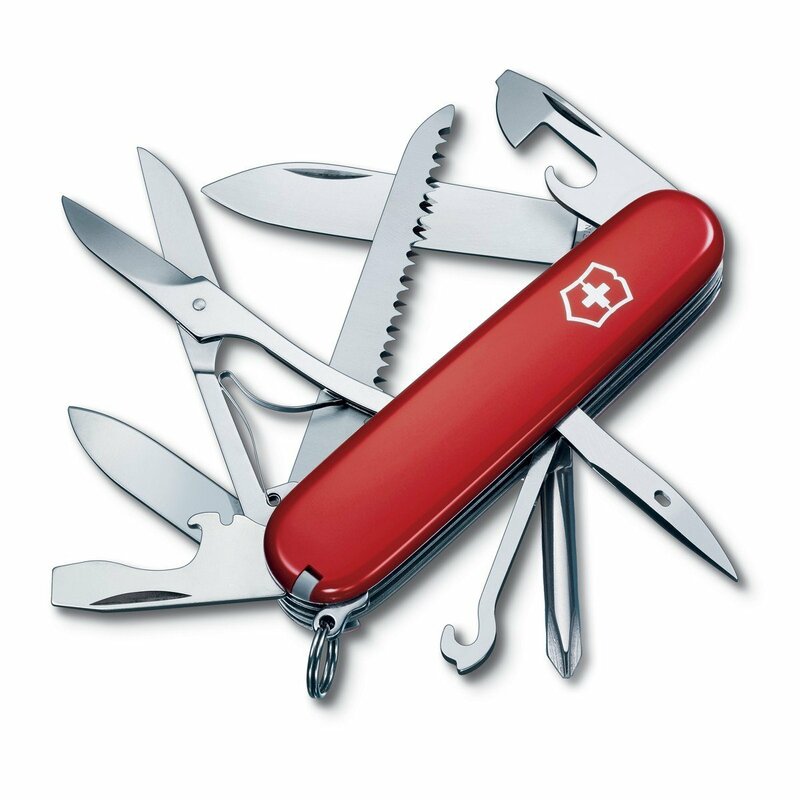 Swiss Knife: A good quality Swiss Knife is something I personally recommend each and every traveler to carry, wherever they go. No matter how well you plan your trips, you will always find it handy, especially if you are a serious hiker or camper. You can do immediate repairs on something; open a package, turn a screw, snip a thread using a Swiss Knife. 5. Bluetooth speakers or earphones/ headphones: Last but the ‘must-have’ for every kind of traveler; a Bluetooth music player, a speaker or an earphone/headphone. No, you don’t have to carry each one of these; you can choose from one of them depending on you’re traveling solo or in a group. For instance, solo travelers should go for a branded earphone or headphone. On the other hand, the Bluetooth speaker is a good option if you are traveling in a group. On a concluding note, whether it’s a week-long trip or you’re escaping from your city just for the coming weekend; don’t forget to arm yourself with these 5 gadgets. Happy traveling! This is such a great post guide and very informative I may say. Great list of staff that we all should keep in mind when preparing for a travel to have. This is a great list! I found my power bank very useful on my last trip! I hadn’t ever thought about an army knife – need to invest in one. A power bank is key for me when I travel. I use my phone all the time for everything. I need to make sure it’s always charged. Great list of ideas when traveling! I carry my Swiss Army Knife with me always! This is really such a great post! These definitely are must haves for traveling! I love the idea of a power bank… I don’t no how many times we wish we had a way to charge our phones when we are out and about! Completely agree with you Shar here! A great list here. I definitely agree that everyone should carry a power bank with them; if travelling you want to ensure you never run out of battery. Oh I need a solar power bank in my life. Thanks for sharing this is going to change my life! Aww Love to hear that Suzanne! We travel a lot and that filtering water system is such a great idea! I’m getting it for my whole family! Great suggestions – thanks for the tips! The smart phone with 4g and power bank are must haves for me! Bluetooth speakers are always good to have but not as much of a necessity for me. Great list! Speakers and a smartphone are a must! This is a great list. I never knew you could purchase a personal water filter. That’s an awesome idea! Yes you can purchase one. We really struggle without a power bank and they are so handy to stay connected. Great list of items! We don’t leave the house without a spare charger. We are always on our phones, so it’s good to have a spare. This is a great list! I have bought a power bank last year and it is very useful indeed!